What is Chiropractic Maintenance Care? Chiropractic Maintenance Care ensures that a person’s neuromuscular system is functioning correctly by receiving treatment within a regular treatment plan. Recent studies have investigated Chiropractic Maintenance Care and whether regular treatments actually benefit the patient’s outcomes by reducing painful episodes and improving function. A recent study ‘Does Maintained Spinal Manipulation Therapy for Chronic Nonspecific Low Back Pain Result in Better Long-Term Outcome?’ by Senna, M, MD et al investigated whether regular Chiropractic Treatments had an impact on the long term reduction of pain and disability levels associated with chronic non-specific lower back pain. 12 treatments over a one month period followed with maintenance spinal manipulation every two weeks of a 9 month period. The results used pain disability questionnaires to investigate the patient’s outcomes following their treatment plan. In groups 2 and 3 there were significantly lower pain and disability scores at the end of the one month period. However, only the 3rd group who were given spinal manipulations during the follow-up period showed more improvement in pain and disability scores at the 10-month evaluation. Studies of this nature are the first step in understanding the benefits of Chiropractic Maintenance Care. However there is a large body of evidence which is yet to be investigated and through further studies the effects of Chiropractic Maintenance Care may be further understood. 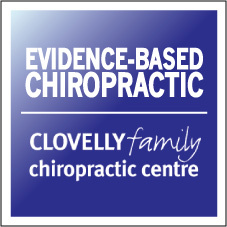 For more information or if you want a full copy of the articles discussed please ask the friendly team at Clovelly Family Chiropractic Centre.